The New York Times said that the situation had been described by "multiple people who have been briefed on the matter". Classified documents are reported to have been stolen from the home computer of a US National Security Agency (NSA) employee who installed Kaspersky's antivirus software. The NSA, the White House and the Israeli embassy in Washington have not commented on the matter. The New York Times said that the Russian embassy had not responded to a request for comment. 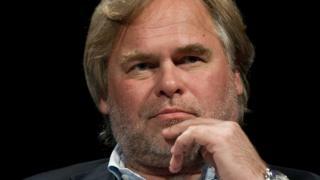 Kaspersky has published a statement saying that it was not involved in and does not have knowledge of the situation. "As the integrity of our products is fundamental to our business, Kaspersky Lab patches any vulnerabilities it identifies or that are reported to the company," the statement said. "Kaspersky Lab reiterates its willingness to work alongside US authorities to address any concerns they may have about its products as well as its systems, and respectfully requests any relevant, verifiable information that would enable the company to begin an investigation at the earliest opportunity." The firm added that it has never helped, nor would help, governments in matters of cyber-espionage.